Melbourne Grand Prix in Danger? Jenson Button won the Australian Grand Prix in Melbourne. But how many more races will take place in the city? It was a gripping race to start the 2012 Formula One Season. Jenson Button took the checkered flag in Melbourne, but it was a close one with just over four seconds separating the top four. But the fans who watched the spectacle may not get too many more chances, as there have been threats to axe the race. These have come from the main man in Formula One, Bernie Ecclestone. The diminutive tycoon has been busy over the years taking the sport away from its traditional European heartland to new markets – especially Asia. He has only been partly successful in that it’s still European audiences watching on TV who drive the sport, and that’s what is putting the down under race under threat. The problem is that time difference. At this time of year, Melbourne is 10 to 11 hours ahead of the major markets. To stop viewers getting out of bed in the early hours of Sunday morning (or, more to the point, to allow all potential viewers not to have to), Ecclestone wants the city to stage a night race. 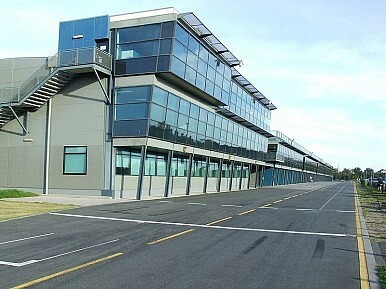 Ecclestone has a reputation as a ruthless businessman, and has said that while the contract with Melbourne runs until 2015, there’s no guarantee that unless the time is moved back, that the Grand Prix will stay in Australia. As you would expect, the supremo has suggested that there are potential replacements waiting in the wings. Singapore currently has a night race, and initial plans in South Korea were to do something similar in Seoul before the track was moved far to the southwest. Melbourne, a city that already has concerns about the cost of staging the race, has already ruled out a change. At the moment, a stand-off seems likely. But while Melbourne fans still have three years of serious racing to look forward to, what happens after that is anyone’s guess. "A Special Weekend for Japanese Sports Fans"
Japanese sports fans witnessed a truly rare double triumph on home soil.